A crime comedy musical drama, It All Came True is a weird mixture of gangsters, entertainers and dotty seniors, but gels enough to maintain interest. Hardened mobster Chips Maguire (Humphrey Bogart) and his naive piano player Tommy Taylor (Jeffrey Lynn) are forced to flee Chips' nightclub in a hurry to avoid arrest when the police stage a raid. During the escape, Chips shoots and kills an informer using a gun he had previously registered in Tommy's name. The two men take refuge at the financially struggling boarding house run by Tommy's mother Nora (Jessie Busley) and her lifelong friend Maggie Ryan (Una O'Connor). Nora is thrilled to welcome back her son, who still believes Chips will help him become a famous musician. The boarding house guests include the paranoid Miss Flint (ZaSu Pitts), washed-up magician The Great Boldini (Felix Bressart) and his scene-stealing dog, Mr. Salmon (Grant Mitchell), and Mr. Van Diver (Brandon Tynan). Chips pretends to be a businessman named Grasselli and confines himself to his room, while Tommy reconnects with his childhood sweetheart Sarah Jane (Ann Sheridan), Maggie's daughter and now a feisty singer. Chips starts to go stir crazy, and eventually decides to convert the boarding house into a new nightclub venture with Tommy and Sarah Jane as the main attraction. 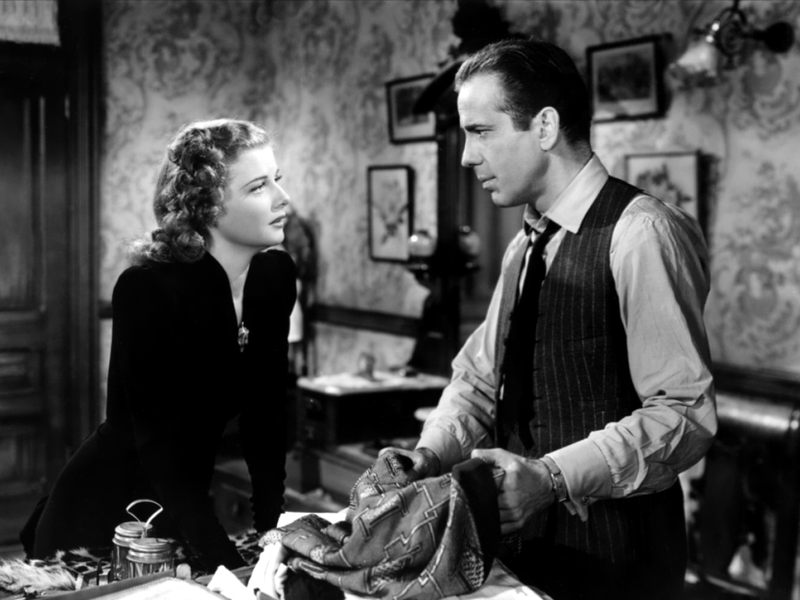 Made the year before Bogart's breakout roles in High Sierra and The Maltese Falcon, It All Came True is a curiosity. A slow and meandering start and a weak ending dominated by vaudevillian performances bookend the film. But the middle third surprisingly corrals the right amounts of wit, gentle romance, light gangsterism and sweet musical numbers into a decent enough package. The main theme of a hardened criminal gradually softening in the presence of mother-like care is predictable enough, but Bogart plays along and subjects himself to plenty of self-deprecating humour. 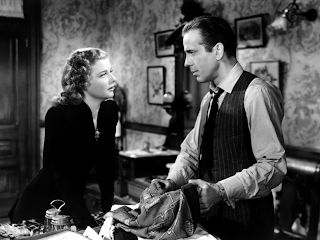 His fish-out-of-water presence in a room filled with stuffed animals towers over the film, although Ann Sheridan comes close to matching him in a spirited performance of her own as an entertainer who stands her ground but cannot hold a job. Compared to Bogart and Sheridan, Jeffrey Lynn is unfortunately bland. The weaker parts of the movie have director Lewis Seiler surrendering arduous stretches to the boarding house guests gibbering away about not much or performing versions of poetry readings and magic shows decades past their best-by date. 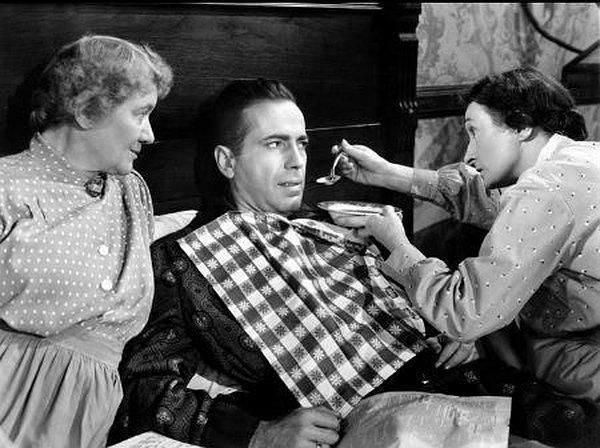 The film's title is a reference to the imaginative tall tales spun by Mrs. Taylor, and many scenes have a static theatrical feel as the residents natter. Happily, the little bits of interaction with law enforcement and Chip's gangland colleagues push back with doses of energy. As the nutty fluctuations in tone, subject matter and quality develop a charm of their own, It All Came True is neither good nor bad, just quirky.